In 1970, as a college senior, I bicycled along chalk-filled sidewalks of the Red Cedar River on Michigan State University’s campus. Peace signs became the prevalent display of the day. While we marched against the Vietnam War throughout the late 1960s, a whole new understanding of man’s “War on Nature” erupted around us. During Earth Day week, Californians for Population Stabilization is running radio spots that highlight the state’s immigration-driven population growth. The ad features a child – who represents California’s next generation – wondering where all the people are coming from if Californians are having fewer children. As a native Californian, I’ve lived on both sides of population explosion. I’m on the fence about whether that’s a good or bad thing. As a kid growing up on Santa Monica’s beaches in the 1950s when the state’s population was 10.5 million, I felt like I had the sand and the sea to myself. The first Earth Day was Saturday, April 22, 1970, and was unprecedented and thoroughly astonishing. No government or large civic group hatched the idea of a global coming-together of students and anybody else in downtown settings, schools and college campuses for a great "teach-in," somewhat in the model of the anti-Vietnam war gatherings. 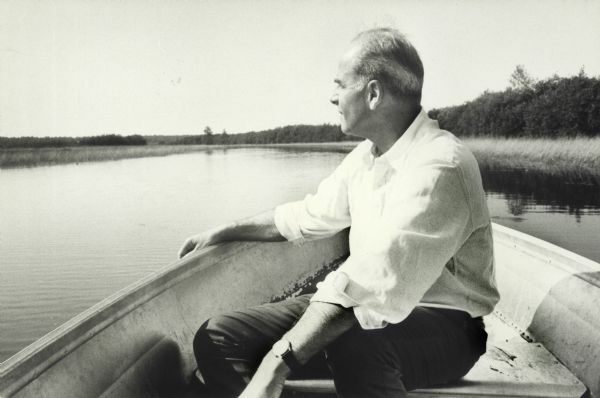 Beyond this idea, the founder, Wisconsin Senator Gaylord Nelson, did not exactly know what Earthdayers might do other than celebrate our environmentally troubled earth and the effort to preserve it. Almost all of California’s population growth in the last decade has been from mass immigration and births to immigrants. This statistic is being called out in a new ad from CAPS that’s running through Earth Day, April 22, in several California markets, and it’s one that’s likely to draw controversy. Leading up to the 2014 Earth Day celebration, this week Californians for Population Stabilization launched a series of television ads in Los Angeles, San Diego and San Francisco. The ads will be broadcast on multiple stations in each market through April 22, Earth Day. Impressed by the reform energies and media coverage generated by campus anti-war and pro-civil rights protests in the late 1960s, Senator Gaylord Nelson began to plan for a “national teach-in on the environment.” Against all odds, “Earth Day” took place across the country on Saturday, April 22, 1970.